Destination Southern Highlands offers industry opportunities throughout the year, including workshops, presentations, advertising and general promotional opportunities. 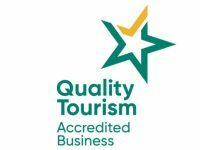 Leading Australian tourism operators display the accreditation tick. They’ve met specific criteria ensuring they are committed to exceeding expectations with great customer service and the highest standards of business practice. Music Now Contemporary Live Music Funding Program. This is an invitation for your business to be part of Pie Time 2019. Please Express Your Interest by using the EOI Form Below. Learn how to take advantage of the new Regional Conferencing Strategy & Action Plan, access information about the Regional Business Event Development Fund, other valuable resources and referral opportunities. Held on Monday 30 May at Gibraltar Hotel Bowral. This workshop was conducted with the aim to encourage all Southern Highlands businesses to embrace the Digital Super Highway, be mobile ready and support DSH and our region. Held on Wednesday 4 May 2016 at the Bradman Centre, Bowral – this event provided industry with the opportunity to meet with representatives from Tourism Australia and Destination NSW who provided information on how to be more engaged with them both and their campaigns, and become export ready. Insights into the service needs of the Indian traveller. Are you visiting the area?